Get out of bed —you've got to see this in the sky! 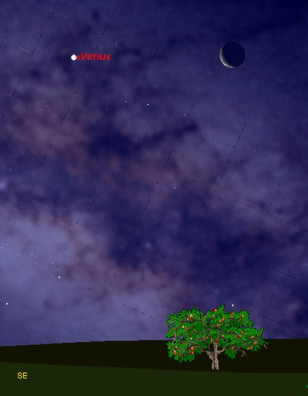 This sky map shows the positions of the moon and Venus before sunrise at 6 a.m. ET on Saturday, as seen from the U.S. East Coast. February is the last full month to spot Venus in a completely dark sky until December.